No matter how bad your workout was today, at least your treadmill didn’t beat you up. I was worried that this girl might be hurt, but she was laughing so hard that she must have just gotten a little tread burn. When was the last time you laughed this hard when you were running on the treadmill? Next time your workout feels like a drudgery, remember these two girls just playing with the treadmill like it’s a toy instead of a tool. 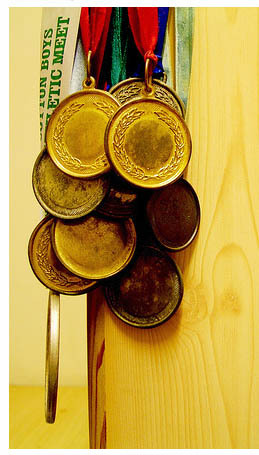 I love this pile of race medals hanging on a doorknob. They are tarnished with age, but they are an easy way to measure how much has been accomplished. How do you measure your accomplishments? Unlike race medals, I find it hard to measure my accomplishments in the marathons of my life. If I weigh less today than I did last week, is that an accomplishment? If I go on a binge this week and gain that weight back, does that invalidate my success of last week? How do I measure my achievements? The scale is a pretty undeniable measure of where I am at any particular moment. It doesn’t lie to me as often as I’d like to imagine that it does. Sure there are fluctuations, but over the course of dedicated weeks, I almost ALWAYS see results. When I haven’t seen results on the scale, I have been able to track what I’ve been doing wrong, even though they seem pretty hidden to me. When my clothing is tighter, it’s pretty obvious that I haven’t achieved my goals, but when it gets loose and baggy, it’s an incredible motivator. This can come in the form of compliments from people. It can also be as subtle as a look from a stranger. 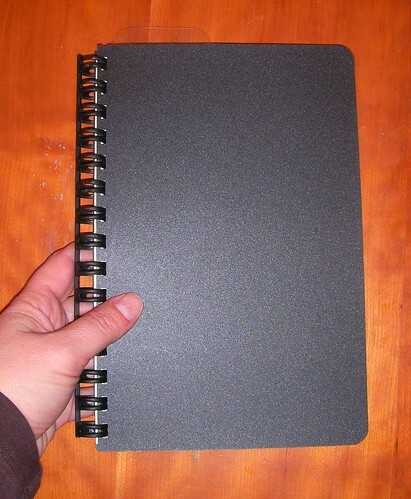 I recommend writing down every inkling you have of a compliment in a journal so you can go back and remember them when you are feeling down or when things feel hopeless. External validation can also come in a more structured form. That is part of the reason that Weight Watchers (and other weight loss programs) are so successful. There are little goals to strive for and when you achieve them, you get a little reward. When I was attending Weight Watchers, they gave out these award star magnets. The dark side to these measurements of achievement is failure. If you slip back to a higher weight, those stars from Weight Watchers are a reminder of how heavy you have become. If your clothes start to get tighter, they are a constant disturbance that are hard to ignore. Even those running medals can feel like a stain if you can no longer run as fast or as well as you did in the past. Don’t let these symbols of your past achievements haunt you. Instead let them remind you that you did it before and you can do it again. Cling to the knowledge that you can achieve this and all it takes are simple and steady actions every day. 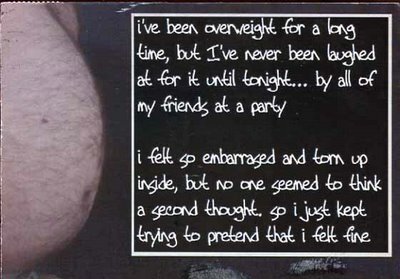 I bet this postcard from PostSecret hits a nerve with a lot of people. 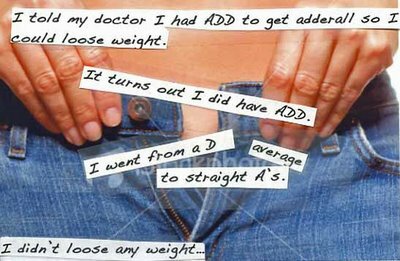 I told my doctor I had ADD to get Adderall so I could lose weight. It turns out I DID have ADD. I went from a D average to straight A’s. When Phen-Fen was first banned, I knew of a lot of women that told their doctors that they had ADD just to get half of the prescription. I think the most important thing from this secret is the last sentence, “I didn’t lose any weight.” Neither did any of my friends. They just ended up nervous and shaky and worrying about heart valve problems. Don’t submit to the pressure of being thin by trying weight loss drugs. Even the ones that get FDA approval have been dangerous in the past. Don’t trust them now. I LOVE these two entries from my friend Jere Keys at Blind Prophecy. This one in June, he talks about getting fit, his memories of his father at the same age, and how difficult just jumping can be. [L]ast Friday when I was meeting with [my personal trainer], he decided to â€œgo easyâ€ on me by skipping our strength training drills and focusing just on cardio. First he had me doing sprints, which quickly accelerated my heart rate, but wasnâ€™t impossible. Then he had me jump. Yes, just jump. First with random movements, then forward and back across a jump-rope, then side to side across the rope. And I nearly collapsed. I was embarrassed and mortified that at the age of 31 and with no serious health problems, I couldnâ€™t jump for a minute at a time without losing balance or taking long rests between each set. Just a month later, he was reveling in the approval from his personal trainer. Blind Prophecy Â» 07-01-08 Â» I have muscles? My trainer today pointed out the difference between todayâ€™s workout and my first session with him. During that first session, I could barely last 25 minutes and nearly injured myself. Now, weâ€™re doing 50 minutes with considerably higher intensity. He also pointed out that I actually have pretty big arms and chest, we just need to work on definition. So we worked on triceps and chest for about 15 minutes and he was pointing out how much my arms were starting to pop. Iâ€™ve still got a lot of work to do, but Iâ€™m getting there. Jere had to move to Cincinnati for school, so I’m sending out a big karma hug to him in the hopes that he can find a personal trainer who can help him as much as Ben did in San Francisco. It’s really easy to forget how hard a workout used to be when you are easily doing every day now. Take a moment today to look back on your workout history and give yourself a pat on the back for coming so far. Does Fast Food Make You Fat? I came across this picture while I was researching gluttony the other day. It was labeled glutton.jpg. 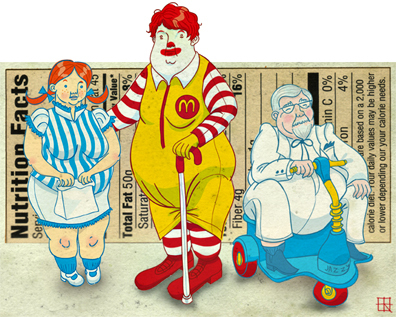 Wendy, Ronald McDonald and The KFC Colonel all have been rendered pudgy in front of a landscape of nutrition facts. The question remains, does fast food make you fat? When I lost my weight, I did it almost solely on fast food, so I can categorically tell you that fast food doesn’t necessarily make you fat. I CAN tell you, however, that non-fast food will make you feel fuller. When I eat fresh fruit, veggies, meat, eggs and dairy, I end up feeling fuller than when I eat the same amount of calories in fast food. Even if I make my own Egg McMuffin, I can do it with less calories and it tastes better. So why eat fast food? Duh, because it’s fast and convenient. 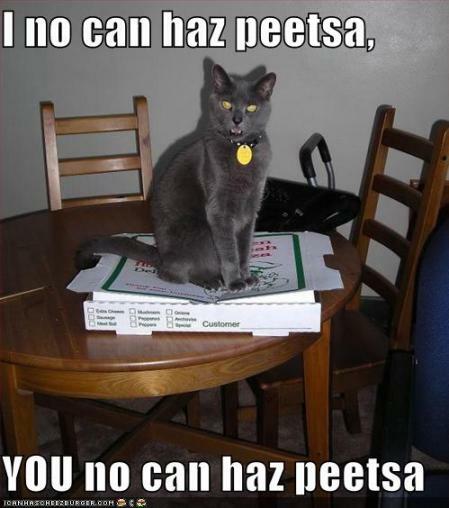 Sometimes we just don’t have time for a healthy meal and we have to compromise. You just need to know that it’s possible to do that without looking like the restaurant mascots above. This postcard from PostSecret showed up a couple of weeks ago. Since I grew up considering myself a fat child, I EXPECT people to make fun of me. In fact, I tend to make fun of myself to head off the insults. It must be difficult growing up skinny and becoming fat later in life. I wonder how it feels to experience that shock as an adult. The iPhone Apps Store daily brings us new things that make our life better. Podphile recently reviewed RunKeeper, which is like a Nike+ app that runs on the iPhone and tracks your runs using its GPS features. The review said that it works pretty well, but my iPhone thinks I’m in Minnesota instead of Utah most of the time, so I wondered how accurate it could possibly be when the iPhone GPS is THAT off. I downloaded the app and tested it compared to my Nike+ in the most difficult GPS area that I have found on my iPhone: my neighborhood. Quite frankly, I was impressed. Not only did it give me the same accuracy as my Nike+ (which has always been good enough for me), it only took a couple of tries to get a GPS satellite signal. 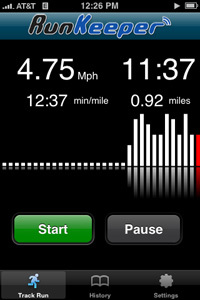 As I walked, I was happy to see that the mileage, pace and speed matched my Nike+ pretty well. So well that I secretly worried that it was just getting the signals from my Nike+ receiver in my shoe instead of the satellite signal. I couldn’t wait to get home and see if Runkeeper mapped my run around a neighborhood in Wyzata, Minnesota. As soon as I got home, I checked my run on the Runkeeper website. The map showed me doing my run in Salt Lake City, where my home ACTUALLY is instead of Wyzata, Minnesota, where the Google Maps app on my iPhone thinks I am. I would show you the map here, but then you would know exactly where I live and I’m a little uncomfortable with that. Rest assured that the map was eerily accurate, right down to the spot where I crossed the street. I’ve tested it many times near my home and it takes about five minutes to get a GPS signal, but when I tested it in Las Vegas, last week, it only took two tries to get the signal. The map is pretty accurate. It usually thinks I’ve crossed a street when I haven’t, but most of the time it’s right on. 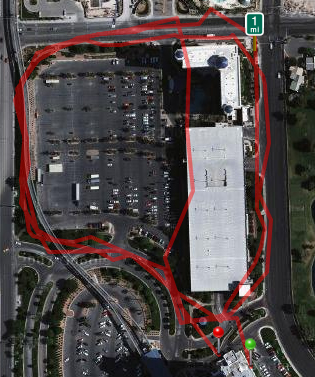 Here is a copy of my quickie run around the trails by the Las Vegas Hilton. The coolest part of all is that I didn’t have it sync my iPhone to get my data to the Runkeeper website. It sends it directly from my iPhone. It also saves it on my iPhone so I don’t have to go to a stupid website just to see my runs. You would think that was a no brainer, but the Nike+ system has a problem with that and they’ve never fully solved it. Calories burned: It doesn’t list the calories I’ve burned on the run and I can’t put my weight into the software to do it. My Nike+ does this calculation for me and it has been pretty accurate. I like the simplicity of Runkeeper, but that is one feature that is REALLY important to me. I can’t use it on my treadmill: During the hot days of summer and the freezing days of winter, I use my treadmill ALOT. Runkeeper won’t work on a treadmill (of course), so the Nike+ still has more usability for me there. No Challenges: The Runkeeper site is very minimal. That is a VERY good thing because it loads quickly and is very easy to use. The only thing I would add to it is the ability to host challenges like I can on Nike+. That was the KILLER feature for me and it’s what keeps me coming back to the bloated Nike website every day. If you own a 3G iPhone and regularly go on walks or runs outside, then you owe it to yourself to purchase Runkeeper. For only ten bucks, you can add the functionality of a Garmin or a Nike+ kit without all the extra gear taking up space. I can’t wait to see what the future has to offer for Runkeeper! Update 09-01-08: After two weeks of using RunKeeper, I’ve found that if I turn off 3G before running the software, it will find the satellite signal almost immediately. There must be something wrong with iPhone’s 3G that is interfering with the GPS signal. RunKeeper runs perfectly if I turn off 3G before I use it. 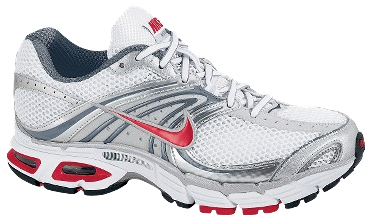 I went looking on the Nike site for some running shoes. Yes, I’m out running now. I’m working my way up using a podcast for interval running and my goal is to run a 5k in November. What would you put on your shoes? It’s SO good to hear from you! I’m glad you’ve advanced from running in place with the Wii Fit to running in the “real” world. Congratulations!! 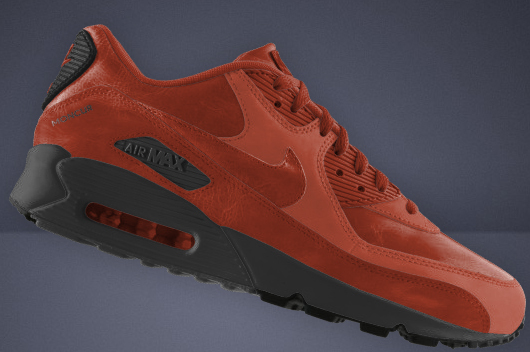 The funny thing is, I tried on four pairs of shoes that looked EXACTLY like this at the Nike store in Las Vegas. One felt like something funny was in my shoes along the inside of my foot. That one was for overpronaters, but I don’t have that problem. Another one felt like it was going to scrape my back heel raw when I walked on their treadmill. After trying the Vomero, the Equalon and the Pegasus, I can’t believe how different all those shoes felt because they all looked the same to me. So, given the chance to choose my own colors and personalized message, I would pass it by just to get a pair of shoes that fit perfectly from day one. Fortunately, I was able to find that this time. Who knows whether they’ll still be around next year when I need new shoes. I found that quote over three years ago and the story still is inspiring today. Next time you think you can’t bike to work, read Frank’s story and you’ll know that you can do it. If you order it now, you can choose the month you want it to start and it will last you a year from that date. You won’t have to throw away any unused days from the first of the year. You can start fresh now. How many times have I felt like this? If I have to eat healthy, YOU have to eat healthy. It not only extends to everyone within my house, but everyone in my family and even random strangers on the street. It even explains why vegetarians are so annoying. Why? Why do I feel like I have impose my eating regime on everyone else on the planet? The longer I have been “good” the more I think others should be “good” as well. It even backfires on me. When I’ve been eating relatively well for a while, I impose ever-stricter rules upon myself until I can no longer eat without guilt. It’s no longer good enough to just eat within my caloric requirements, I have to eat five fruits and vegetables every day. Then, eating more veggies just isn’t enough, I need to eat only whole foods. Then, after that, I decide to only get my protein from vegetable sources. After too long of following these ever-tightening rules of eating, I end up bingeing. Does anyone have an idea on how to stop this because I’m at a loss and it’s seriously hurting me.